How much sleep is healthy for our children? Children Health, Patients Health InformationComments Off on How much sleep is healthy for our children? Healthy sleep is essential for child development. 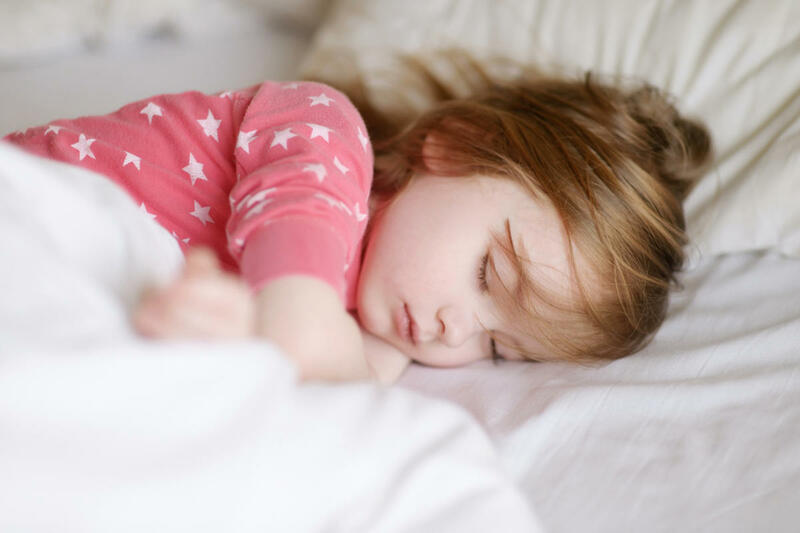 Sleep disorders can affect our children as well as it can affect adults, even though you might think at a younger age there aren’t reasons for it to happen. Our kids’ sleeping patterns change constantly over the years. Just think about how newborns don’t sleep through the whole night because they wake up to be fed, but they still get around 16 hours per day! In preschool years the number falls to 11-13 hours a night. For children aged 5 to 12, they need between 10-11 hours of sleep a night. In adolescence, 8 to 10 hours of sleep are recommended. Even if most teenagers would argue that they don’t need it. The quality of sleep is as important, if not more, as the quality of it. Some studies suggest that poor sleeping patterns can have significant issues on our children’s health. From delaying their physical and mental growth, to putting them at risk for infections and even leading to childhood obesity. And with new born babies, keep in mind that not only the baby needs a healthy sleep. The break in sleeping patterns affect the parents and even siblings considerably. Many teenagers are easily labeled as having mood swings, when in fact a poor sleep routine could be underlying their performance in school, their ability to focus, remember, get excited about new things or feel good. As part of a global study, sleep research shows that Australian teens are actually the third most sleep deprived in the world. Depression, mood swings, risks of having car accidents and underperforming in school are strong enough reasons for parents to pay more attention to the causes and to ways of improving their teenagers sleep habits. It’s good to set an objective of at least 9 hours of sleep, even if they give you a hard time for it. If you want to make sure your children get a healthy sleep, you could set up a sleep schedule you can explain to them and make a poster of it they can have in their room. And if your kids are, like most kids, difficult to put to bed, think of creating a reward system if they stick to the schedule. But the ideal would be to explain to them the real benefits and make them understand why it’s good for them to have a healthy sleep.